This article by Vincent Kolo was first published on chinaworker.info in October 2009, on the 60th anniversary of the Chinese Revolution. We are republishing a slightly abridged version as part of a series of articles commemorating key anniversaries that fall during 2019 – 100 years since the May Fourth Movement, 30 years since the Tiananmen mass democracy movement, and 70 years since the revolution of 1949. It is an especially nervous Communist Party (CCP) regime that presides over the 60th anniversary celebrations of the founding of the People’s Republic of China on 1 October. The regime is increasingly dependent on Olympic-style pageantry to shore up its support, and despite decades of record-breaking economic growth now faces mounting discontent from workers, farmers and youth. Mao Zedong, who led the CCP to power 60 years ago, is hailed as founder of the nation, but today’s official view is that his policies were “ultra left” and needed to be corrected by the pro-market turn of his successor Deng Xiaoping in 1978. To learn China’s true revolutionary history we must look elsewhere. The CCP did not come to power at the head of a working class movement. With its Stalinist outlook and methods it initially stood for a relatively limited agenda to establish a “New Democracy”, while keeping a capitalist economy. But almost despite itself, the CCP was thrown forward by one of the mightiest revolutionary waves in world history. It was this mass revolutionary fervour, within the international framework that emerged following the Second World War that pushed Mao’s regime to introduce changes that fundamentally transformed China. China had long been known as the “sick man of Asia” – it was poor even by the standards of Asia at that time. With its huge population (475 million in 1949) China had been the world’s biggest “failed state” for a century. From 1911 to 1949 it was torn between rival warlords, with a corrupt central government, and bullied by foreign powers. Ending the humiliating foreign customs houses and the stationing of imperialist armies on Chinese soil was just one of the many practical gains of the revolution. Mao’s regime also introduced one of the most far-reaching land reforms in world history – not as big as Russia’s but encompassing a rural population four times as large. This agrarian revolution, as the historian Maurice Meisner points out, “destroyed China’s gentry-landlords as a social class, thus finally eliminating the longest-lived ruling class in world history and one that long had stood as a major impediment to China’s resurrection and modernisation”. In 1950, Mao’s government enacted a Marriage Law that prohibited arranged marriages, concubinage and bigamy, and made divorce easier for both sexes. This was one of the most dramatic governmental shake-ups in the field of marital and family relationships ever attempted. When the CCP took power four-fifths of the population were illiterate. This was reduced to around 35 percent by 1976, when Mao died. Reflecting its crushing backwardness, there were only 83 public libraries in the whole of China before 1949 and just 80,000 hospital beds. By 1975 there were 1,250 libraries and 1.6 million hospital beds. Average life expectancy, just 35 years in 1949, was raised to 65 years in the same time-span. Innovations in public healthcare and education, reform (simplification) of the written alphabet, and later the network of ‘barefoot doctors’ that covered most villages, transformed conditions for the rural poor. These achievements, at a time when China was much poorer than today, are an indictment of the present day crisis in healthcare and education, the result of marketisation and privatisation. The abolition of feudalism and imperialist control was a crucial precondition for launching China on the path of modern industrial development. At first, Mao’s regime hoped for an alliance with sections of the capitalists, and left significant sections of the economy in private hands. By the mid-1950s though, it had been forced to go all the way, expropriating even the ‘patriotic capitalists’ and incorporating their businesses into a state plan modelled on the bureaucratic system of planning in the Soviet Union. Compared to a regime of genuine workers’ democracy, the Maoist-Stalinist plan was a rather blunt instrument, but it was an instrument all the same, incomparably more vital than enfeebled and corrupt Chinese capitalism. Given the low base of China’s economy at the start of this process, the industrialisation achieved during its planned economy phase was truly astonishing. From 1952 to 1978, industry’s share of GDP rose from 10 percent to 35 percent (OECD Observer 1999). This is one of the most rapid rates of industrialisation ever achieved, greater than Britain in 1801-41 or Japan in 1882-1927. In this period China created aircraft, nuclear, marine, automotive and heavy machinery industries. GDP measured in purchasing power parities increased 200 percent, while per capita income rose by 80 percent. As Meisner argues irrefutably: “It was during the Mao period that the essential foundations of China’s industrial revolution were laid. Without it, the post-Mao reformers would have had little to reform”. The two great revolutions of the last century, the Russian (1917) and Chinese (1949), did more to shape the world we live in than any other events in human history. Both were the result of the complete inability of capitalism and imperialism to solve the fundamental problems of humankind. Both were also mass movements on an epic scale, not military coups as many capitalist politicians and historians claim. Having said this, there were fundamental, decisive differences between these revolutions. The social system established by Mao was one of Stalinism rather than socialism. The isolation of the Russian Revolution following the defeat of revolutionary movements in Europe and elsewhere in the 1920s and 30s, led to the rise of a conservative bureaucracy under Stalin, which rested upon the state-owned economy from which it drew its power and privileges. All elements of workers’ democracy – management and control by elected representatives and the abolition of privileges – were crushed. Yet, as Leon Trotsky explained, a planned economy needs workers’ democratic control like a human body needs oxygen. Without this, under a regime of bureaucratic dictatorship, the potential of a planned economy can be thrown away and ultimately, as was proved two decades ago, the entire edifice is threatened with destruction. Yet it was this Stalinist model that the CCP adopted when it took power in 1949. While this was a far cry from genuine socialism, the existence of an alternative economic system to capitalism, and the visible gains this entailed for the mass of the population, exercised a powerful radicalising effect on world politics. China and Russia, by virtue of their state-owned economies, played a role in forcing capitalism and imperialism to make concessions, particularly in Europe and Asia. The Chinese revolution increased the pressure on the European imperialists to exit their colonies in the southern hemisphere. It also caused US imperialism to sponsor rapid industrialisation in Japan, Taiwan, Hong Kong and South Korea and use these states as buffers against the spread of revolution, which it feared following China’s example. As Marx explained, reform is often a by-product of revolution. This was the case with the land reform and the destruction of feudalism carried out by Asian military regimes within the US sphere of control during the 1950s. This was the origin of the rapid growth of Asian capitalism from the 1950s onwards. While both the Russian and Chinese revolutions were led by mass communist parties, there were fundamental differences between them in terms of programme, methods, and above all their class base – the difference between genuine Marxism and its perverse Stalinist caricature. The 1917 Russian Revolution was proletarian in character – a factor of decisive importance. This invested it with the political independence and historical audacity to launch upon a never-before tried road. The leaders of that revolution, above all Lenin and Trotsky, were internationalists and saw the revolution as the overture to a world socialist revolution. By contrast, most CCP leaders were in reality nationalists with just a thin laminate of internationalism around this. This corresponded to the peasant base of the Chinese revolution. Lenin commented that the peasantry is the least international of all classes. Its scattered and isolated conditions of life imbue it with a parochial outlook, not even aspiring to a national perspective in many cases. Lenin’s speech proclaiming the formation of the Soviet government on 25 October 1917 ended with the words: “Long live the worldwide socialist revolution!”. 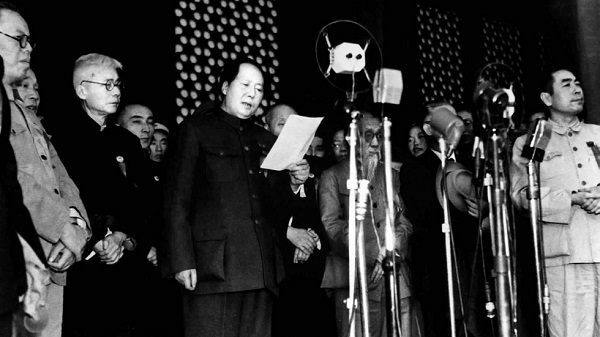 Mao’s speech on 1 October 1949 did not mention the working class, but laid stress on the Chinese having stood up, even referring to “the overseas Chinese and other patriotic elements”. The Chinese Revolution was peasant or petit bourgeois in character. Rather than a mass workers’ movement and elected workers’ councils – the motor forces of the Russian revolution – and the existence of a democratic Marxist workers’ party, the Bolsheviks, in China it was the peasant-based People’s Liberation Army (PLA) that took power. The working class played no role, and even received orders not to strike or demonstrate but to await the arrival of the PLA into the cities. While the peasantry is capable of great revolutionary heroism, as the history of the Red Army/PLA’s struggle against Japan and the dictatorial Chiang Kai-shek regime showed, it is incapable of playing an independent role. Just as the villages take their cue from the cities, politically the peasantry supports one or other of the urban classes – the working class or the capitalists. In China, rather than the cities moving the countryside, the CCP came to power by building a mass following among the peasantry and then occupying the largely passive, war-weary cities. The class base of the revolution meant that it could emulate an existing societal model but not create a new one. The CCP’s peasant orientation developed out of the terrible defeat of the 1925-27 revolution, caused by the stages theory of the Communist International under Stalin’s leadership. This held that because China was only at the stage of bourgeois revolution, the communists must be prepared to support and serve Chiang’s bourgeois Nationalist Party (Kuomintang). The CCP’s young and impressive working class base was brutally smashed. But while a significant Trotskyist minority formed shortly after this defeat, drawing correct conclusions that the working class and not the capitalists must lead the Chinese revolution, the majority of CCP leaders held to the Stalinist stages concept, although ironically they broke with it in practise after taking power in 1949. In the late 1920s therefore, the main group of CCP cadres, drawn mostly from the intelligentsia, went with these mistaken pseudo Marxist ideas to wage guerrilla struggle in the countryside. Chen Duxiu, the CCP’s founder and later a co-thinker and supporter of Trotsky, warned that the CCP risked degenerating into “peasant consciousness” – a prophetic judgement. By 1930, only 1.6 percent of the party membership were workers compared to 58 percent in 1927. This class composition remained almost unchanged up until the party won power in 1949, flowing automatically from the leadership’s focus on the peasantry and rejection of the urban centres as the main arena of struggle. In tandem with this was the increasing bureaucratisation of the party, the replacement of internal debate and democracy by a regime of commands and purges, and the cult of personality around Mao – all copied from Stalin’s methods of rule. A peasant milieu and a mainly military struggle are far more conducive to the growth of bureaucracy than a party immersed in mass workers’ struggles. Therefore, whereas the Russian Revolution degenerated under unfavourable historical conditions, the Chinese Revolution was bureaucratically disfigured from the outset. This explains the contradictory nature of Maoism, of important social gains alongside brutal repression and dictatorial rule. When the Japanese war of occupation ended in 1945, US imperialism was unable to directly impose its own solution on China. The mood to “bring the troops home” was too powerful. Therefore the US was left with no other option than to support Chiang Kai-shek’s corrupt and breathtakingly incompetent regime with massive amounts of aid and weaponry (totalling six billion dollars). That Washington had little confidence in the Kuomintang government was shown by President Truman remarking some years later: “They’re thieves, every damn one of them. They stole $750 million out of the billions we sent to Chiang. They stole it, and it’s invested in real estate down in Sao Paulo and some right here in New York”. For the masses, the Nationalist regime was an unmitigated disaster. In the last years of Kuomintang rule there were reports from several cities of “starving people lying untended and dying in the streets”. Factories and workshops closed down due to lack of supplies or because workers were too weakened by hunger to operate them. 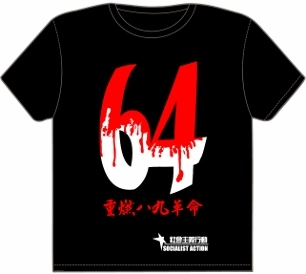 Summary executions by government agents and rampant crime by triad gangs was the norm in big cities. Alongside the land reform introduced in areas it liberated, the CCP’s biggest asset was the hatred of the Kuomintang. This also led to mass desertions of Chiang’s troops to the side of the Red Army/PLA. From the autumn of 1948, Mao’s armies won landslide victories in several main battles. In city after city across the country, Kuomintang forces either surrendered, deserted, or staged rebellions to join up with the PLA. In effect, Chiang’s regime rotted from within, presenting the CCP with exceptionally favourable circumstances. Subsequent Maoist-guerrilla movements (Malaya, Philippines, Peru, Nepal) that have tried to reproduce Mao’s success have not been as fortunate. With a genuine Marxist policy, the overthrow of the Kuomintang could almost certainly have been achieved more quickly and less painfully. From September 1945, following Japan’s military collapse, until late 1946, workers in all major cities staged a magnificent strike wave, with 200,000 on strike in Shanghai. Students too poured onto the streets in a nationwide mass movement that reflected the radicalisation of society’s middle layers. The students demanded democracy and opposed the Kuomintang’s military mobilisation for the civil war against the CCP. The workers demanded trade union rights and an end to wage freezes. Rather than give a lead to this movement the CCP applied the brakes, urging the masses not to go to “extremes” in their struggle. At this stage, Mao was still wedded to the perspective of a “united front” with the “national” bourgeoisie who should not become agitated by working class militancy. The students were merely used as a bargaining chip by the CCP to exert pressure on Chiang to enter into peace talks. The CCP did its utmost to keep the students’ and workers’ struggles separate. The inevitable laws of class struggle are such that this limitation of the movement produced defeat and demoralisation. Many student and worker activists were swept up in a wave of Kuomintang repression that followed. Some were executed. A historic opportunity was missed, prolonging the life of Chiang’s dictatorship and leaving the urban masses largely passive for the remainder of the civil war. In keeping with the Stalinist stages theory, in 1940 Mao wrote: “The Chinese revolution in its present stage is not yet a socialist revolution for the overthrow of capitalism but a bourgeois-democratic revolution, its central task being mainly that of combating foreign imperialism and domestic feudalism” (Mao Zedong, On New Democracy, January 1940). In order to achieve a bloc with the “progressive” or “patriotic” capitalists, Mao limited the land reform (as late as autumn 1950 this had been carried out in only one-third of China). Also, while the businesses of “bureaucratic capitalists” – Kuomintang cronies and officials – were nationalised immediately, private capitalists retained their control and in 1953 accounted for 37 percent of GDP. A crucial test came with the Korean War that broke out in June 1950. This brought a massive escalation of US pressure, economic sanctions, and even the threat of a nuclear attack on China. 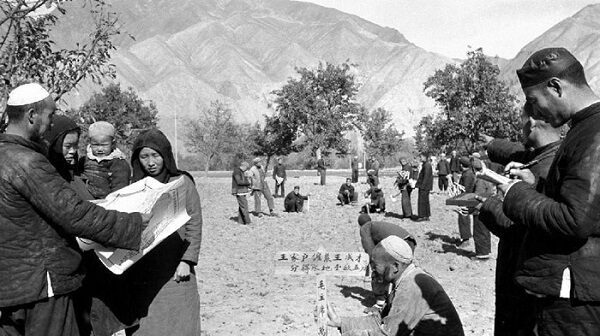 The war and sharply polarised world situation that accompanied it (the “cold war” between the Soviet Union and US) meant Mao’s regime, in order to stay in power, had no choice but to complete the social transformation, speeding up land reform and extending its control over the whole economy. The Chinese revolution was therefore a paradoxical, unfinished revolution that brought monumental social progress but also created a monstrous bureaucratic dictatorship whose power and privileges increasingly undermined the potential of the planned economy. By the time of Mao’s death, the regime was deeply split and in crisis, fearing mass upheavals that could sweep it from power. Many youth in China today have become hardened anti-communists, supporting global capitalism, believing this is somehow an alternative to the current regime. Others have turned to Mao’s legacy, which they feel has been completely betrayed by his successors. 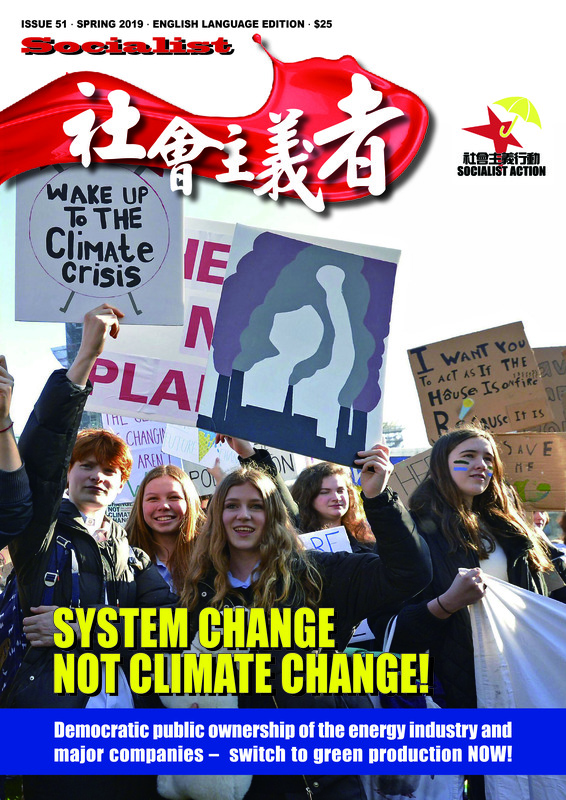 Within this rising social and political turbulence, genuine Marxists are trying, through the website chinaworker.info and other publications, to win support for worldwide democratic socialism as the only way forward.